Disney, I love you! I’m a huge Disney kid, lifer, fan, EVERYTHING! Growing up in Miami, it was super easy to pack up and drive three hours to Orlando. So my parents, aunts and/or cousins took us as often as possible. No matter how many times I’ve been, I never lose the excitement of stepping into the park. There truly is a magical feeling in the air. It truly is one of the happiest places on Earth I feel like a little kid again! If you ever need someone to go to Disney with, always count on me! I will provide car ride snacks and Minnie Mouse ears for everyone! 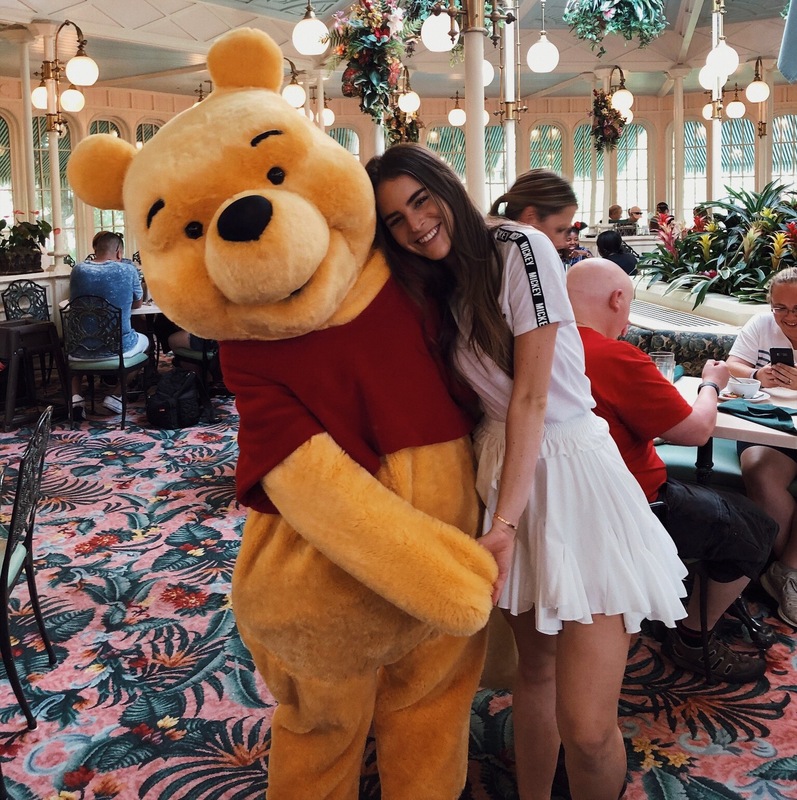 This post will most likely go up once I am back, but I am going to share my details from my trip, where to stay, eat and what to do! When I go to Disney, I aim to enjoy every hour I can in the parks. As long as the rooms are clean and the beds are comfortable, I am still happy knowing I’m visiting the happiest place on Earth. I do recommend however staying at Walt Disney World resorts if you want the perks and benefits of direct transportation to the parks and extra Magic Hours where the park is open exclusively to resort guests for additional hours which means less crowds and shorter lines. It is the closest thing to staying in the Magic Kingdom without actually being in the Magic Kingdom. 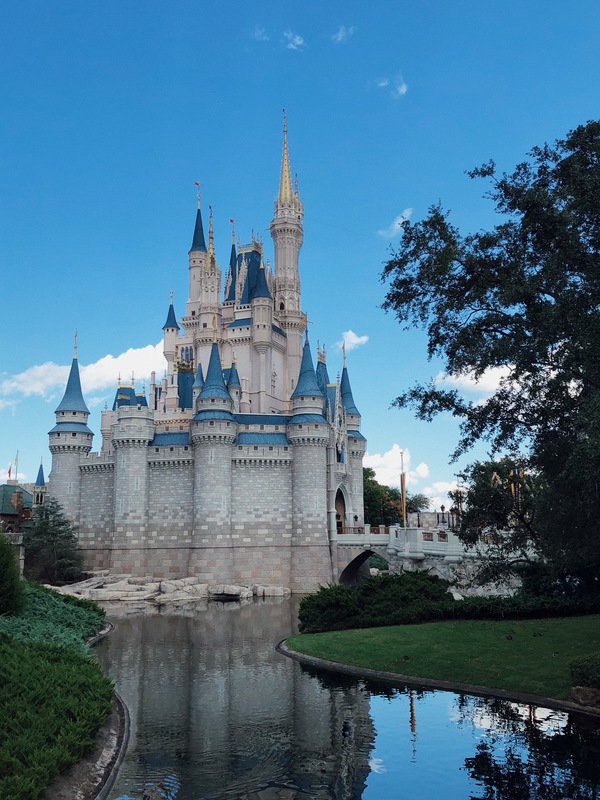 Disney’s Magic Kingdom is just a short monorail trip away, all you have to do is take an elevator down to one of the lower levels. 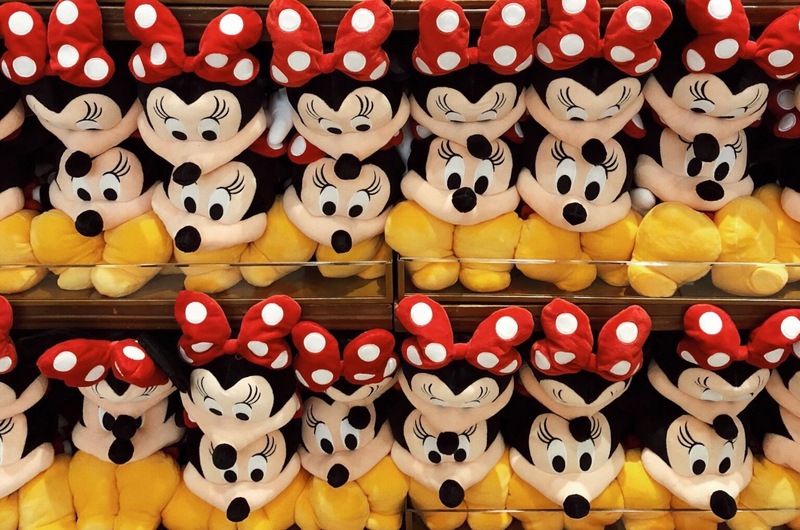 Staying in a Walt Disney World Resort hotel has its perks such as Extra Magic Hours; where the parks are open for extra house exclusively for guests staying in such hotels. The location and the view is truly my favorite! Make sure to request a room facing the park or just head over to a viewing level to catch the spectacular firework show every night, the may or may not make me tear up every time. I love all four parks but if I had to pick between one or two I would have to say the Magic Kingdom and Epcot! The Magic Kingdom is truly magical and if you want a full Disney experience, you MUST go. It has the most attractions of the four and you get to cross Frontierland, Tomorrowland, Adventureland, Fairy Tale Land, and so much more. Cinderella’s castle is truly iconic and you cannot miss seeing it and feeling the realness of it. Epcot is perfect for adults. I personally love it because you can practically go around the world in just one day! From Mexico to France, Italy to Morocco and so many more countries. You feel like you’re in some of the world’s most remarkable landmarks because they recreate it so well and include food, alcohol and shops with items exclusively found in those countries. My favorites include France, Japan and USA! I personally love dining with characters so I am ALWAYS for it. There are several resorts that offer character dinning as well as in the park! The majority of all character dining restaurants is that they’re buffets! We always aim to go for breakfast because we LOVE the Mickey shaped waffles! This last trip we woke up early and went to have breakfast inside the theme park at The Crystal Palace. Being at Disney makes me feel like a kid, but this restaurant takes me back to my childhood. My sister would watch Winnie the Pooh practically everyday so I would watch with her. Eat breakfast, lunch or dinner with Winnie, Piglet, Tigger and Eeyore. It is the BEST ice cream sandwich ever! 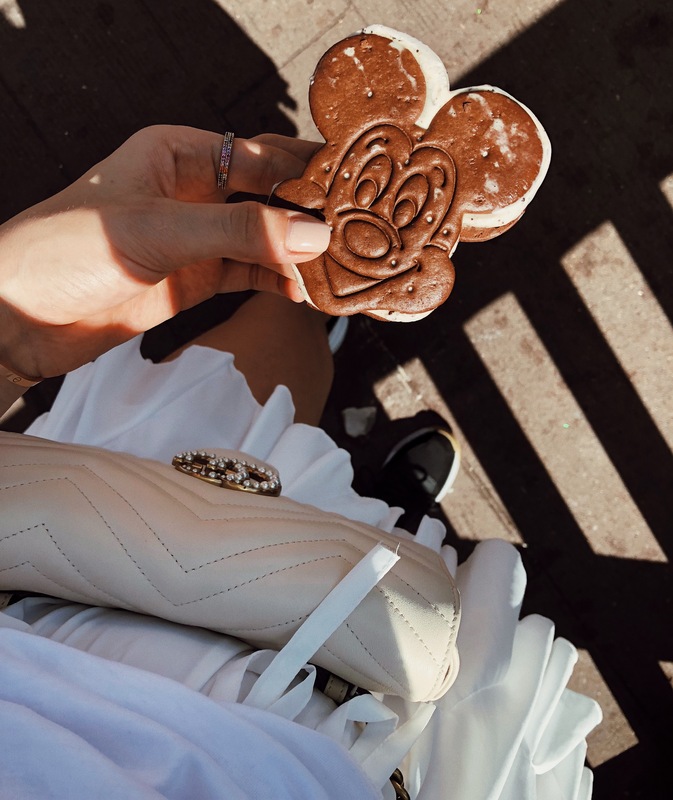 The cookie part is so yummy, it is filled with cookies and cream ice cream and it is Mickey shaped! What else can you ask for? It is available throughout the park and is perfect to have while in the Florida heat! 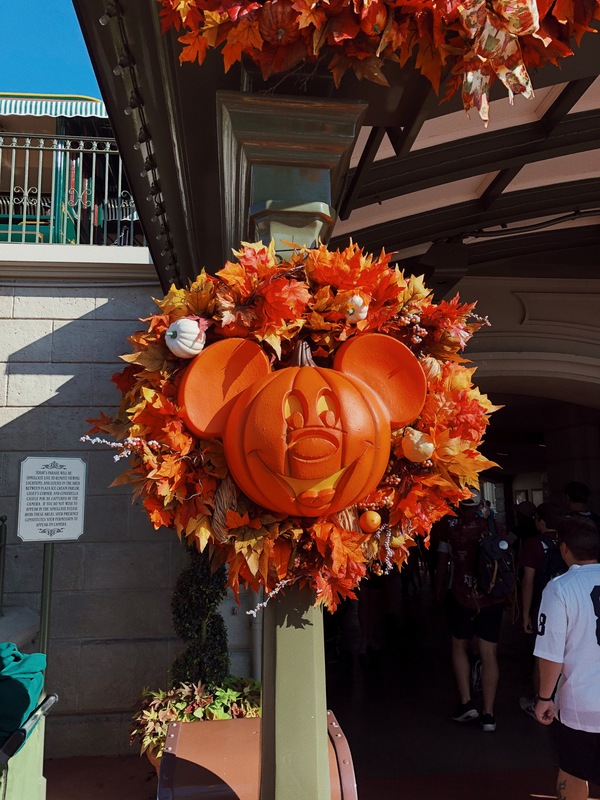 Visit in the fall/winter to see all the decorations and avoid the intense summer heat!